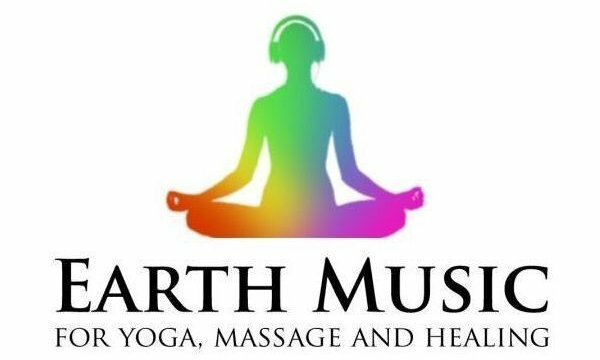 Walkaboutfish Records is excited to announce the formation of Earth Music International, a new subsidiary company specializing in recorded and live music for a spiritual and holistic lifestyle. Visit Earth Music International on the Web, Google+ or Facebook to learn more! 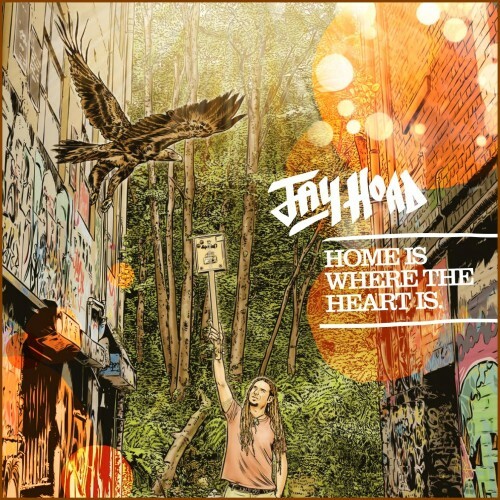 Jay Hoad Releases 3rd Album "Home Is Where The Heart Is"
EXTRAORDINARY NEW ALBUM FROM INDEPENDENT ARTIST JAY HOAD HITS THE MARK!! Walkaboutfish Records is excited to announce the release of Jay Hoad’s extraordinary new album Home Is Where The Heart Is. Recorded in Sydney at Eargasm Studios with highly acclaimed award winning producer Craig Porteils (Gun & Roses, Terence Trent D’arby & Diesel) with songs written in some of the most exotic locations around the world and featuring premier Fijian artist Knox! Showcasing Hoad’s extensive musical talent and pushing the boundaries with a mash up of styles and genres from rock to folk to high energy pumping, thumping roots and the occasional ballad. Album highlights include Power of the Rock inspired by Uluru (Ayers Rock) written on the Cigar Box guitar and featuring Didgeridoo, Hillbilly From Cocklebiddy, a story about crossing the Nullabor plain, the catchy and unforgettable Ain’t Gonna Get No Love From Me featuring Shalane O'Connors of Siskin River on vocals and the title track Home Is Where The Heart Is, a tribute to Hoad’s mother country Fiji. The Album release is accompanied by an extensive Australian Tour taking in almost every major regional and capitol city across the country. The tour kicks off in WA followed by SA, NSW, QLD, ACT and NT finishing up in Victoria in October. “I can’t wait to get back on the road again; the new live show is bigger and better than ever with a whole lotta new and unique instruments. I’m really pushing the boundaries, says Hoad. Home Is Where The Heart Is represents all aspects of what I have to offer and it captures the live and unique sound of my show like never before. Working with Craig Porteils was an incredible experience. He just has that knack to make every track that little bit more special”. Hoad’s high-energy live show sees him sitting in a cockpit of instruments including didgeridoo, dulcimer, dulsitar, cigar box guitar, wine box bass, weissenborn lap steel, harmonica, ocarina, djembe, percussion, loops, voice and more. Lungs, hands and feet work in harmony as he fuses all genres of music, creating a sound, from just one person, which has to be seen to be believed!! Walkaboutfish Records is excited to announce that Fijian-born didgeridoo and stringed instrument virtuoso Jay Hoad is bringing his full band back to the Adelaide Fringe Festival 2013 for a very special “home town” pre-release concert for his upcoming album “Home is Where the Heart Is”. The show kicks off from 6:30pm on Sunday, March 3 at the Governor Hindmarsh and will include special performances from the Fluerieu Rhythm Makers and Babylon Burning - and there is a rumor that the album may be available for a select few?? Jay’s relentless performance schedule over the past eight years has seen him perform at some of the world’s most prestigious live music venues and music festivals throughout the Caribbean, Central and North America, Southeast Asia, Fiji, India, and Australia. Some of Jay’s most recent performances include WOMAD, Uprising Festival (FIJI), Saarang World Culture Festival (INDIA), Port Fairy Folk Festival (AUS), and supporting the Jamaican super-group “The Wailers” on their Northeast American Tour. Jay’s high-energy show sees him sitting in a cockpit of instruments including didgeridoo, dulcimer, dulsitar, cigar box guitar, wine box bass, weissenborn lap steel, harmonica, ocarina, djembe, percussion, loops, voice and then some. Lungs, hands and feet work in harmony as Jay fuses all genres of music, creating a sound that's difficult to believe comes from just one person. Jay’s upcoming album “Home is Where the Heart Is” is his most anticipated release yet, with tracks written in exotic (and some not so exotic) locations all around the world, with intimate details of each location clearly listed in the album liner notes. “Home is Where the Heart Is” was recorded with the renowned producer Craig Porteils (Cher, Billy Idol, Diesel, etc.) 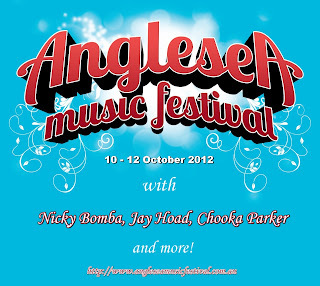 in Sydney and features many specials guests, including premier Fijian artist “Knox”. As per usual, the artwork has had no detailed spared with a breathtaking design designed to please all fans of art and music. Our featured artist has sure been getting his festival vibe on! Following successful performances at Womadelaide 2012 and the Adelaide Fringe Festival, Jay is looking forward to more featured festival performances at the Anglesea Music Festival in VIC, the Fleurieu Folk Festival in SA and the Uprising Festival in Fiji. And that's in between trips to Sydney to collaborate in the studio with famed producer Craig Portiels as Jay furiously works on his next album of original music! Jay has just rounded up his National Tour which covered all of Australia, and then some. Keep an eye out for Jay- Walkaboutfish Records will soon be announcing his appearance at many more international festivals in 2013 as we continue to prepare for the release of his next album, which promises to be his most significant work to date. Walkaboutfish Records is excited to announce that Fiji-born didgeridoo and stringed instrument virtuoso Jay Hoad is taking his unique show around Australia for the very first time with a huge ten month tour schedule that will cover all major cities as well as a large portion of regional Australia. The tour will also cover many surrounding countries including Fiji, New Zealand and Japan. “Stories for the Soul” was released on Oct 7th 2011 through the MGM/Green label and fuses many genres including funk, rock, reggae, tribal, Latin and Celtic music. This album is a deeply personal reflection, taking us with Jay as he relives the past few years spent on the road and across the seas. Drawing inspiration from the his stories and experiences spent around the world, the tales reveal stories of love, learning, possibility and heartbreak; rich with history and central to the soul-building journey that is this release. 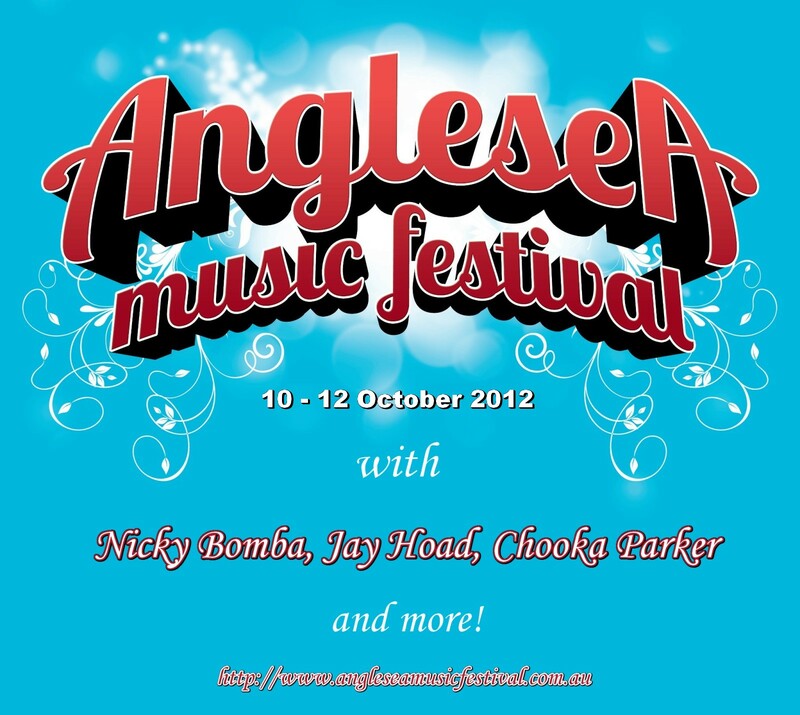 The album features many of Australia’s premiere musicians including Adam Page, Chris Finnen and Ria Loof. Jay Hoad has spent the last six years touring around the globe, following the sun and his inspiration for music throughout the Caribbean, Southeast Asia, Fiji, Canada and North America, keeping up a relentless touring schedule whilst passionately learning about third world culture and every style of music he can sink his teeth into. Last year Jay was honoured to support Bob Marley’s ‘The Wailers’ on the East coast leg of their North America tour, and has also performed on electric and acoustic bass with the Temptations, Dionne Warwick and Blood, Sweat and Tears amongst others. The result... a very funky and high-energy show that sees Jay sitting in a cockpit of instruments including didgeridoo, weissenborn lap steel, dulcimer, guitar, harmonica, ocarina, percussion, loops, voice and then some. Mouth, hands and feet work in harmony as Jay fuses many genres and unusual instruments to create a sound that's hard to believe comes from just one person. Jay's effortless use of his loop stations allows him to go from one instrument to the next, creating a dramatic visual for the listener portraying a sound that can be compared to a large band. Jay also often strips his music back to beautiful acoustic weissenborn, dulcimer and dulsitar instrumentals, mesmerizing audiences with his controlled beauty as he makes his instruments talk. His other projects include the Jay Hoad Band, a seven-piece band featuring Jim Miller (Trumpet), Tim O’Brien (Saxophone), Ria Loof (Vocals), Mat Long (Guitar), Henry Moncreiff (Drums) and Miles Sly (Percussion). Since the Jay Hoad Band was formed in 2007, they have done numerous tours throughout North America, Canada and Australia. Much like Jay’s solo show, the band covers many genres of music and has a fiesta type vibe that has shaken dance floors at music festivals from North to South and East to West! Jay’s shows are always different from one night to the next; he has a vast range of repertoire and prides himself on his consistent high energy "play every night like it's your last" vibe, always giving the audience complete respect and a deeply heart felt performance. The “Stories for the Soul” tour kicked off in Alice Springs on August 26th 2011 and continues throughout SA, WA, FIJI, QLD, NSW, VIC, New Zealand and wraps up in Japan in mid-June. The Tour sees Jay featured at many iconic venues and festivals so be sure to keep an eye on the website as you never know where he may pop up. Jay Hoad Releases Second Album - "Stories For The Soul"
Fusing diverse forms of Funk, Rock, Reggae, Tribal, Jazz, Latin and Celtic music Stories for the Soul is Jay Hoad’s deeply personal reflection as he relives the last six years on the road. Touring across the USA, the Caribbean, South-East Asia, Canada and his birth country Fiji, Stories for the Soul is Jay’s musical travel diary revealing stories that are rich with history with love, learning, possibility and heartbreak all being central themes. Since Jay’s 2009 debut release, Warmth in the White, he has continued to develop his craft pushing his musical boundaries and treating his extensive and loyal audiences to his exceptional talents. His instrumentation comprises of more than fifteen unique instruments including didgeridoo, acoustic bass, electric bass, dobro, weissenborn lap steel guitar, dulcimer, djembe and ocarina all of which feature on this new release. Joining him on this recording are musicians Adam Page, Chris Finnen, Jim Miller, Steve Brown and Ria Loof just to name a few. The outcome is a combination of groove-driven songs, infectious funky melodies, downright dirty beats, heart-racing horns and heavy lap steel blues. Stories for the Soul is produced by Jay Hoad and recorded at Deep Blue Studios in Adelaide with Reid Jones. Additional tracks were recorded at AMI Studios in Maryland USA. CD mastering is by Tim Starnes (Lord of the Rings & Aviator) New York City. Stories for the Soul is supported by a six month national tour kicking off in Alice Springs, taking in Regional Australia, all major capital cities including SA, WA, QLD, NSW, VIC as well as Fiji and NZ wrapping up in Japan mid-April 2012. Stories for the Soul is released through MGM Distribution on October 7th, 2011. Jay Hoad and his band will be bringing their brief USA tour to Delaware for three shows during the month of August, beginning with a performance at Dogfish Head in Rehoboth Beach this Saturday night, August 7. 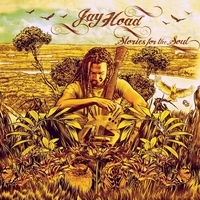 Many Delawareans will recall the summer of 2007 when dreadlocked Australian Jay Hoad first arrived on the local scene performing his unique brand of world music. Fast forward to three years later following repeat tours of the USA, Australia, Southeast Asia, the Caribbean and Canada, a successful CD release and the creation of an independent record label, Walkaboutfish Records. The band passed on a 2009 USA tour while Hoad returned to Australia to record his upcoming second CD and further develop his multi-instrument solo show. Fans attending the Delaware shows will hear the evolution of a gifted songwriter and talented musician as he furthers his sonic palette with new musical creations and an ever enlarging stable of unique instruments. The all original shows will feature selections from Hoad's acclaimed debut LP "Warmth In The White" as well as from his newly completed LP, which is to be released in mid 2011. In addition to the Dogfish Head show the band will be giving a free concert of Hoad's original music at Killens Pond State Park on August 13. On August 27 the band will perform for a unique one-off jazz and blues themed show at Bethany Blues in Lewes as part of Sydney's Music Revival series. Interested parties can visit www.jayhoad.com for more details on the band and upcoming shows.